Struggling With Programming? Read This Now! This was posted originally as feedback to students in my Java course, but I figured it might be valuable to post on the blog. Programming can be quite difficult to start. Some people find it completely overwhelming. They struggle learning the language, figuring out how things work, and wonder if they can ever really succeed as a programmer. Others say they can understand the training (books, videos) they go through, but when they come to write their own programs they freeze up, or can’t seem to work things out. Are you feeling like that at the moment? Are you ready to throw in the towel? Let me tell you that this is a common thing to feel early on when you are learning to program. PLEASE READ THIS THROUGH, RIGHT TO THE END! TRUST ME, THIS WILL HELP YOU IF YOU ARE FEELING LIKE THIS AT THE MOMENT! I’m not here to tell you programming is easy. If it was a simple thing to learn, everyone would be doing it. It takes time, dedication and persistence to become a programmer. You are not going to suddenly wake up and be a fluent programmer overnight. If anyone tells you that, I am afraid they are not being truthful. However, I believe that almost anyone can become a good programmer if they stick with it. In my experience the number one reason why people become good programmers is persistence. They don’t give up. They work at it. If they don’t understand something, they research, re-watch the video, re-try the exercise, etc – Sometimes 2,3 or more times! They type in the code they are having problems with. If they find an error, they paste the error into Google and see if they can figure things out. They experiment, they ask questions (in the support section if they bough an online course, otherwise a forum). They share with other students of people doing what they are doing, or taking the same course. In other words, they don’t give up. They realise (correctly) that it’s up to them to work the problem, and to be persistent and doing that gives them a vastly increased chance of success. Let me tell you again. Persistence is the number one skill you need to become a programmer. If you persist, the chances are really high that you will succeed. Now let me give you an example of how this works. Bear with me as I explain this, you will be glad you did if you read through. I am a gamer. I play computer games. It’s my way to relax when I am not programming, or creating videos. 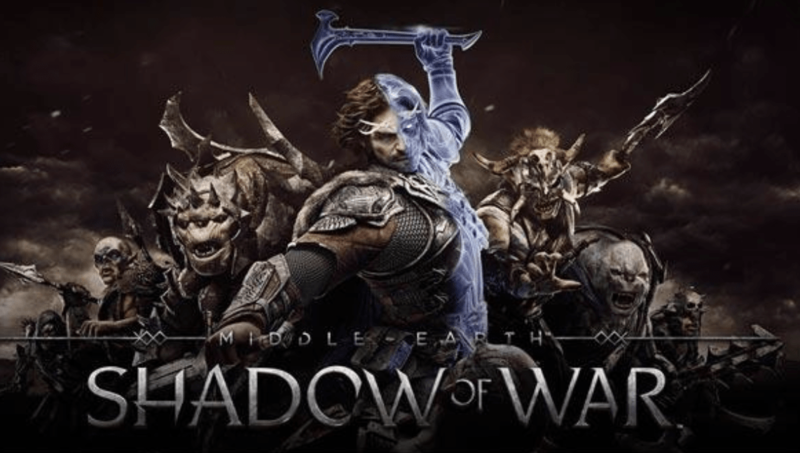 Earlier this year I bought a game called Middle Earth – Shadow of War. I’ll leave you to Google more about the game if you are interested, but I want to tell you about my experience with the game, and how persistence was the main reason I managed to complete the game. When I started the game, I had no idea what to do, and when I met enemies (even relatively weak ones) I got defeated easily. I got flustered and was clicking the wrong button at the wrong time so that I was not blocking their attacks, or not attacking them when I should. Or moving in the wrong direction so I was getting hit in the back! I was getting defeated a lot! Did I understand the game at that early point and what I was supposed to do? No! Did I instinctively understand the controls at the start of the game, so that I could press the appropriate button combinations to defeat the enemies? No! Was I enjoying the experience of getting defeated again and again? Not really! I was getting frustrated, and annoyed. More than once I have to say I did a ragequit – Gamer talk for quitting the game because of my frustration at being defeated. Did I give up though? No! I persisted. Sure I may have left the game a few times frustrated, but the next day I was back ready to take on the forces of Mordor again. And a funny thing happened. Well, it’s probably not funny, its actually quite a common experience for anyone learning a new skill. And playing games is a skill, just like programming. What happened? I got better at the game. I started to understand what my role was in the game, I found out that my fingers start instinctively pressing the right buttons at the right time, without any clear conscious thought on my behalf. At the start of the game I had to continually think “Oh which button is the attack button again?”. Or, “How do I upgrade my weapon?”, and so on. In other words, each step I took in the game required a lot of manual thought, and things seemed to take a long time to make any real progress. But I then found myself thinking about what I wanted to do, and not how to do it. In other words my thoughts when playing the game turned more into the outcomes I was looking for. e.g “Oh if I defeat those five Orcs over there I can get to that next point in the game”, rather than “Oh what is the attack button again?”. My brain took over the controls for me. I didn’t have to think of the controls anymore, I just focused on what I wanted to achieve in the game. My brain subconsciously took over the controls so I could focus on outcomes. No different to learning to drive a car, right? If you are a driver now, do you remember the first time you ever drove a car? Compare those early experiences of drive with taking a drive today. Do you have to think about turning on your indicator when moving into the right lane? Do you need to remember which pedal is the accelerator? No, the brain subconsciously does it for you. But back to my game experience, briefly. Towards the end of the game, things really get difficult, but I was taking on the best that Mordor could throw at me, and I was despatching those forces of evil, quickly and efficiently. Sure there were some hiccups along the way, but it became rarer for me to be defeated, and more often than not, I was winning battles. No more ragequitting – I understood the game, the controls were instinctive, and it was fun. I got to the final two “boss fights” and completed both successfully. I won the game (although there are now other missions available for purchase, should I decide I want another challenge). Can you see a parallel to learning to program here? I hope you can. When you start out programming, you don’t know the language that well. When trying to solve challenges, or write your own programs, you may struggle because you are focused more on the “controls” – e.g. “Which keyword is used to exit a loop again?”. Or, “Do I put a semi-colon at the end of the line that ends in a left curly brace?”. And so on. But as you persist, the right keywords come instinctively. You start thinking along the lines of “ok, so I have to exit this loop if the calculation has completed, and then I have to save the results to a file”. Your brain instinctually tells your fingers to type “break;” to exit that loop, and remembers not to put a semi-colon on a line with a left curly brace, because thats a code block, and you don’t put semi-colons there. If you are frustrated, or worried, or ready to give up, it’s likely you are at the “start of the game” when it comes to programming. You don’t know the story, or the controls well, so you have to think hard about each and every thing you do. Maybe you have done the equivalent of ragequit – e.g. Closed down the IDE in anger. We’ve probably all done that at some point! I want you to realise that most people go through this phase. If you persist, you will get better at programming, and then the fun really starts! If you have taken one of my online video courses (or any online course), think back to when you first started it. Have you learned anything along the way? You would be surprised if you remember where you were at when you started the course. It’s highly likely you have already learned a lot and got better as a programmer, without really realising it. You’re probably more focused on what you need to learn, or how you don’t understand this latest video, rather than what you have already learned. It’s normal, we all do it from time to time. But don’t forget to remember the progress you have already made, because this will help during those times where you may be discouraged or frustrated. Realise that if you persist, you win! I want to assure you that if you are persistent, and keep working towards your goal to become a good programmer, and keep at it, and don’t give up, the chances are high that you are going to succeed. Any skill takes time to learn, and more time to master. Be persistence, and keep moving forward. I’ve seen so many students start one of my courses, and go on to getting their first job, or a new and exciting promotion. In all of them I saw that common trait, persistence. Don’t be too hard on yourself. Celebrate your successes (even minor ones). Just know that the key to your success is persisting, not giving up, and moving forward each day. I hope this helps you see that you can do this. You’ve got this! I’m here for you, cheering you on to success from the sidelines! One final thing, I’ve just posted an answer to this question. Do you need to have a degree to get a programmers job – you might be surprised by the answer. Google and Apples have recently updated their hiring policies about this. So don’t give up, keep at it! There is even more reason to push through and learn how to program. Good article Tim, definitely highlights the difference between a fixed and growth mindset of students. Being a teacher myself I’ll be showing my students this to help them relate gaming to not only programming but all aspects of their schooling life. Thanks David – Appreciate you dropping by! Ah, maybe this advice do wonders. I try to program for years. Had to quit my bachelors in IT because I simply could not grasp the high tempo in which we where required to learn the programming languages. So trying again, God willing this time I will get trough and will master JAVA! Keep at it, Abid! You can do this – persistence is the key! Thanks so much for the kind words, I appreciate it. Yes programming can be frustrating at times, thats just how it works! Thanks for the encouragement. I’ve been working on learning Python, and while I hate quitting, it is a bit discouraging having such a hard time with the simple stuff. This was very timely. Thanks RC – Keep at it, and in time it will all start to make sense! Thank you for this article, Mr. Buchalka. You are definitely SPOT ON whit everything you mention in your article. This article made me feel better about myself because I was at that point many times. Awesome Pavon, thanks for taking the time to swing by and leave a comment. Sounds like you have a great plan for your future employment. I hope you continue to enjoy the courses! Thanks for your words of wisdom Tim. I really enjoyed the example you gave and description on how you became good at the game Middle earth – Shadow of War. I have no experience in coding, got your Complete Python Masterclass, and some days (almost everyday actually) I do get frustrated but I know it is part of the learning process. As you said, little achievements are to be celebrated, and soon myelin will be wrapping that particular newly formed neuro-circuit for that particular coding/programming skill. I still have a bit to go with your course so will let you know how it all goes in a few weeks or months. And happy coding & gaming dear friend! Thanks for that – I really like the gaming analogy because it’s just so true – the complex becomes the easy the more practice you get. Please do stay in touch and thanks again! Thanks Tim for such a motivating blog. It inspires me a lot. I am also in the way of learning java. Yeah I am facing various rejections in job interviews of java. But I do not lose hope that i can’t do this. I am still trying my best to cover every concepts as much as possible. You can do this Vatsalya, keep at it and your will achieve your success at interview time! I’ve worked in the industry as a sytems admin (unix, websphere, jboss, etc) and embarked on your courses 2 maybe 3 years ago. I’ve stopped at times out of frustration (similar to your article), tried different things and have come back. Only recently (the last month or so) have things been catching on and I can definitively say I get it. I could add more but I need to get back to studying but I wanted to type that to say you’re spot on about persistence. Yes at times you feel like you’re not getting anywhere but just hearing this (I do tend to have a persistent mindset but at times even I get discouraged) does validate things are going just fine. So thank you. You are welcome. I have seen so many people succeed purely because they were persistent. The fact that you have not given up and have come back to try again really does show your persistent mindset. Thanks for the post Tim! Had I not persisted at programming I’d have already lost my job! Lol! Persistence really a key element. It’s always good to be reminded of that, and in the end, any endeavour we pursue has higher chances of accomplishment when we choose to have an appropriate mindset. Thanks for letting us know Miguel. It really is important to keep in mind. I’m glad to hear you have obviously mastered the art of being persistent. Congratulations on getting a Java Developer position, you must be very happy. You are on the right path. Oh I loved that game – There is no reason why you cannot write a game like that. It will take time and persistence, but if you like gaming it will be a fun experience as well as teaching you more about programming. Thanks a lot Tim. This seems to be my case as i was also getting frustrated not able to complete the challenges in the first time and trying to refer to the solution’s. And many a times making silly mistakes. And i took a break for sometime as i couldn’t get along with the frustrations. But this has really motivated me to go back again and keep on trying and start winning the game. Great to hear from you – we all need to take a break from programming from time to time. Even if you don’t complete 100% of a challenge, if you do some of it, and then study my solution it will help you as you progress forward as a developer. It sounds like despite the occasional frustration, you are making good progress! This is one of the best article I ever read. Thanks, Tim. It’s not hard for me to agree with you 100%, because my natural disposition (on persistence) is exactly what you advised. But I have a different problem. My problem is that the more I learn, the more I realize that I have learned so little in the past. Am I being too harsh on my self? Let me explain. 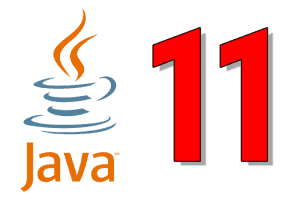 Recently I started your online Java course. I have made two attempts on Java in the past without real success. But this time, my experience is so amazing. For the first time in my 14 years programming experience, I feel I now really understand what OOP is. So, I kept wondering why have I been spending my time on QB, VB, Fortran, MATLAB, Python and not simply Java all these years? Please, get me right, take nothing from these great languages, they may even have their edges over Java in some areas. But in my experience with learning Java so far, I think it’s impossible to write Java without OOP. Zamarin – great news for developers. The other time I read, if you are a programmer and you haven’t tasted the R side of programming, it’s a sin. Wow, aren’t we going to die someday learning new stuff? This is my problem. Where do we stop? Or should we never stop? Take python, then take Java, take R, take C#, take C++, and don’t forget PHP and ASP. Net! Like you, Tim, I don’t know how many of these stuff are in ur head. Should I stop trying to be like you? Should I just focus on one language and leave the rest? Did you do that at some point? A couple of days ago, I stopped over and spent an hour or so to look at R. A bit similar to Python. Is that a stupidity on my part, because I haven’t finished my Java course? Can I ever finish everything about Java, for example. Thanks for the kind words, I am happy you feel this was a good article to read. You experience about wanting to know which languages to choose is an interesting one – I just wrote an article that might help so take a read here. It’s all about what you are trying to achieve in my opinion. Unless you just love learning new programming languages, I’d suggest you put a limit on the number you learn. Get to a certain level of expertise with a language before moving on is a good idea because you get value out of your learning experience. Even though you look back at some languages and maybe think oh I wasted my time on this, its most likely you didn’t entirely waste your time. You learned some things in that language that helped you become the programmer you are today. To give you an example, apart from Basic and Z-80 Assembly language (a weird combination I know), one of the other languages I learned fairly early was Pascal. In the case of Pascal, I had a really hard time understanding Linked Lists, but I kept at it and eventually understood what they are. Today, I believe Pascal contributed to the programmer I am today because I came into Java knowing what Linked Lists were. I am sure there are other examples of concepts I have learned in other languages that I am not even are of that have helped me. So don’t worry about what you studied in the past – think about what your goals are moving forward! I am at the same situation nowadays. Have done my master in Computer Science and cannot find my dream job or somehow have not found my passion in programming. Now it is time to be persistent. Hope it will help me somehow. Yes Eid, keep at it and keep working towards your goal. If you keep at it then it will become a reality over time. hi tim, you hit the dot right on! I myself also struggles to learn the java masterclass you created but as I move on I can also see my progress and it inspires me..anyway my background is in VB.net that is why it was way different from java..but when I started vb6 i also started zero knowledge and way back the 90’s there is no videos like yours…(I know you share my difficulties back then hehehe) just books..but i also believed that repetition and persistence is the mother of skills…that’s why I know I’m having a little difficulty in JAVA but it also the salt and seasoning of before you become “Skilled”. BTW your’e a good teacher and after the Java masterclass I will start with your Android class 🙂 thanks mate! Thanks for dropping by – I used VB6 myself back in the day as well and remember it fondly – it was ahead of its time – that and Delphi. Keep at it, and you will succeed over time – and thanks for the kind words, it’s appreciated. Waoo… This is just the type of articles I need. I can do it! You are welcome, and yes, you can do it!! Wonderful Article. You are not just a teacher but also a good mentor, coach and guide. It indicates your passion about teaching and your endeavour to help every student to benefit as much as possible is simply remarkable and beyond appreciation. You care for your students. Thanks a lot for being there for us, we all are fortunate to have you as a teacher. Wow, such kind words, thanks so much it’s appreciated – I love what I do and it’s my mission to get 1 million people into programming careers over the next few years, including people just like you. Great article, and timely to boot. I’m taking your Java course and we just started object oriented programming and it is certainly a bit overwhelming at first. I don’t have a degree from a university, but I am loving learning programming, and want to make it my career. Thank you for all that you do for us, Tim! It does not go unnoticed. You are most welcome Josh! And the fact you are loving programming tells me you are in the right place, so keep at it! PS – As my free e-Book talks about, you don’t need a degree from a university to succeed! You are most welcome!! Keep at it and you will reach your goals. Thank you very much for this article Tim. It is always appreciated when you give us example from your experience. I will definitely enjoy more articles like this. good luck always. You are welcome Khaled, and thanks for the kind words! Tim, You are awesome ! Thank you for this excellent article. I am your student from the Java Masterclass(Udemy). Two weeks ago, I had “ragequit” from the IDE as I could not figure the fix using conditional operators in the parenthesis of while loop. Just an hour ago I wrote a program with 100ish lines of code(a game, which I want to share with you). your course and support were great. Thanks, Sir! Incredible, Madhav. It just goes to show you can do this. Congratulations on the game. It’s great to hear that you succeeded. Hi Tim, great blog post and so true. I am currently working through your Python masterclass course on Udemy – it’s a great course and I have revisited some of the video lectures and the exercises when I have needed to reinforce my understanding. I’ve also got your Java, Spring and C courses – these are coming next. Persistence is definitely the key skill to master in order to succeed – I also (try to) play the guitar and the same principles definitely apply – when you think about giving up because you just can’t do it right, then just try again, go back over the training and the exercises – try the exercises slowed down and gradually increase the speed. Thanks so much for supporting my courses, much appreciated. And yes, most certainly persistence applies to almost any skill – including Guitar. I appreciate the kind words. Also, revisiting lectures is an excellent way to reinforce concepts you didn’t necessary get the first time you watched. Thanks a lot Tim…That’s very educative and inspiring. But my questing is this, does one has to learn all the methods in the class libraries and perhaps know where and when each is needed? And if so is there a useful reference material that can actually help you with that aside (developer.android.com) site? No, you do not need to learn all the methods – the key to being a programmer is learning the basics and then being good at researching online, and reading documentation. I can tell you there are a lot of class libraries where I don’t memorise all the methods, but I know exactly how to consult the documentation to find what I need. Thank you Tim, this one came to the right moment. Just when I started to think that I would fail anyway because I felt lost in regards of doing my own projects. I’m in section 9, almost 10 in your Java Masterclass and this post motivated me to stay on track! Thank you a thousand times! Greetings from Germany. I’m glad this post proved to be helpful for you! Keep at it and in time you will get through to the end. Don’t forget to enjoy and acknowledge what you have already learned – getting to section 9 is a lot of material that you have been through already! Thanks for the great blog. I’m so inspired and motived after reading this. I’m taking your Java class on Udemy and it is awesome. Thank you so much!! Thanks for dropping by, and I am glad this post helped! Great to hear that you like my course as well!! That’s some great insight, Tim. And really inspiring and motivating! I’ve been an on-again-off-again freelance programmer since the early 90s, doing little side jobs — one or two that I actually got paid for — but never taking the plunge and choosing it as a career (I have a particular like for a roof over my head and food on the table). Indeed, it was through persistence that I was able to complete any of my projects — and it was the lack of persistence that led to more than one abandoned project. I’m currently working on a rewrite of a program I installed in 1995, written in Clipper, but redoing it in Java this time. And your Complete Java Masterclass has been absolutely invaluable. That said, I’m wondering if you have any equally inspiring insight for those of us not in our younger years just starting out. 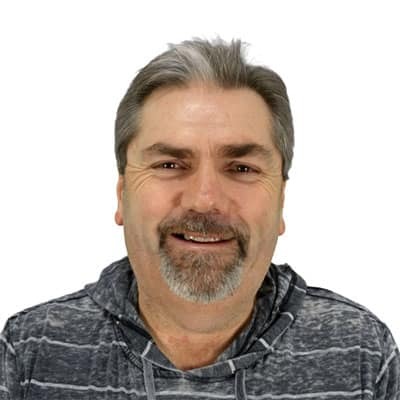 I turned 60 this year, certainly not the time to be making a career change, but there’s surely something you can share that will bolster our passion for building applications. Nice to hear from you, and thanks for the kind words. I have fond memories of dBase II and Clipper – I was always amazed how much faster a dBase application was when it got compiled with Clipper. I think in general, the same rules apply for older people than young – persistence is the key. As you get older you become clearer in your goals, and have a decent amount of life experience which can be applied to help you succeed. It sounds like you are in the groove now re-writing that app. I think this topic deserves a blog post of its own – I will get a blog post out about it in the coming weeks. Stay tuned! It’s great to have you here. I am glad you found the website inspiring! I think DApp/Blockchain technology is going to be huge, and it’s being used more and more and will continue to be – its a great field to get into now before most programmers know about it. I don’t have any courses on these topics, but expect some to come out in the coming months. Python and Java are good starting languages – I love crypto in general so I think this is going to be a big growth area soon! Great to hear from you Branden, and I am glad you feel the same way! I hope it will give you that confidence – my advice is to keep at it, and over time things do get easier! I love this analogy between programming and games. I’m a huge gamer too, I love story-driven, stealth/action type games like Assassin’s Creed. Assassin’s Creed is a good example because with persistence – you can learn how the aspects of the games work. With each new game they make, certain things change – but thanks to persistence, I can quickly adapt without being overwhelmed, and often find I can either like or dislike these changes. This is pretty much the same for a developmental change in the way we may write in some languages. They change over time. Once you learn a lot from a language, you can adapt to these changes with ease (and still find yourself liking or disliking the change). This is a great article. I can totally relate! I love Assassin’s Creed as well, and you are right another great example of persistence. The first time I played a game in the series I was totally overwhelmed but once I got the hang of it and (that word again) persisted, it all got a lot easier. And yes, the analogy works well with programming languages as you point out. Thank you for the article, really inspiring! I find myself sometimes thinking that this might not get me where I want to go (find a job as a programmer), mainly because I leave in a country that really gives importance to a college degree when it comes to finding someone for a job, but oh well, let’s see where is takes me, maybe I get lucky. And I will take the time to thank you for your amazing job in the course, so far I’m loving it, really well done, well explained! Keep in mind that its likely your future employer may not be from your country if you decide to work online – and most places actually prioritize skills over a degree. But it is hard to get that first programming job. I am glad you are enjoying the course, my advice is to keep at it! You are spot on – keep at it and you will get better at Quake Champions and programming! HI Tim, after reading this i feel calm because now when i relate myself as a gamer good old days , its true , i was not able to finish a hard level in one time i used to play again and again but after some time i got through this , recently i’m doing your paid java course i really scared of memorizing the code block and syntax and then logic’s i stuck in. I got your point and motivation also thank you Tim for this beautiful article and course as well. You are correct – you can get through this, just keep working at your goal and you will get through it! Thank you for sharing that. After reading your post, i feel like the missing piece in my long journey as a programmer has been found. Thanks for that, I appreciate the kind words, and I am glad the post has proven to be helpful to you! I got your Java course and because I liked it so much and I want to become a Data Analyst, I bought your Python course too. I’m definitely “in the beginning of the game” though lol. I appreciate this article so much Mr Buchalka. I’ve been playing video games for almost two decades now and I’m a veteran at them. I can pick up and play a complex game like it’s nothing because I’ve seen so many iterations of the same or similar mechanics I have a natural understanding of how they work. I actually bought Shadow of Mordor and was immediately good at it and eventually great through training, losses and persistence and because of the wonderful analogy you used, this concept truly clicked for me. I was telling myself this exact same thing for the whole month that I’ve been training so far with your courses but to hear it as validation from the teacher is so much more assuring. Thank you. Thats awesome to hear Shaquille! It sounds like you have made great progress – Java and Python are great courses for a Data Analyst to go! Keep up the good work and game playing!! Hi Tim, Thank you for sharing this wonderful motivational blog post. I love to do programming and gaming too. I have bought your java course from Udemy. It’s worth mentioning that while solving some complex problems using java I frequently loose my patience and scratch my head .Then after sometime or the next day I think differently and apply the same in my code and it clicks! !.After reading this article I really feel that patience and perseverance really matters in life. And I love playing computer and mobile games a lot .I play Prince Of Persia , then Assasin’s Creed ,Call Of Duty etc. Crossing the levels really takes a test of persistence a lot :)lol. I am just curious about programming languages ,like nowadays many are there Java, Python ,C++ etc. They are syntactically bit different but logics are the same.So should we show persistence in solving problems in only one programming language or learning multiple is a better option? Thanks for that. I love hearing how you leave a problem for a while and later, when you come back you are able to solve it with a different approach – that time away has allowed your mind to conceive an alternate approach to solving the problem! And yes, I agree about the persistence with games for sure. In general with computer languages, my recommendation is to get skilled in one before starting another one. When I am creating videos for two courses in a single day (which I do regularly) I sometimes use the syntax of one language in another – e.g. Adding a semi-colon at the end of line in a language like Python which does not need one. So it’s easy to get confused – I believe its a good idea to get a good grounding in one language before starting another. Thank you very much Tim, to encourage and motivate me.Sometime it’s frustrating when I was stuck. I saw your video same working on your side but not here. Google it. But again not working then I try and quit and move forward.But now I feel motivated. You are welcome! Yes, keep working at it – the more you immerse yourself in code and persist the sooner the success will come! Im just glad to know that its okay to still play video games even when I have global responsibilities … also, the role persistence plays in becoming a great developer cannot be said enough. Great article. I am sorry, but I don’t agree, fully. Though a very good article, persistence can be an impoverishing act under circumstances. Without wanting to say one should let go and not be persistent, I hope that this reflection will help you helping others too learn. I love your work and am studying Java with you currently. Your lessons break down subjects awesomely well. Making it more easy too learn. But once in a while I hit, even with your program, a brick wall (mentally) . The last one was about the if-then statement. Several teachers had explained the principle to me and I was sure I understood it. But, did I? Once I tried to test my believe I got stuck. Why, in fact, does it work the way it works? To solve this took me three weeks, off and on. I understood my problem to be that the words are not referring too logicall if-then statements, but too ‘case-yes or else-no, and no in-betweens’ statements. These are exclusive-or statements in logic. This helped me understand how difficult programming is, in a way. You always have to break things down too the smallest possible distinction, for the machine. Before, I accepted teachers explanations, being a good teachers pet. Now, I have tested my thoughts. This is an example of being persistent with a problem. But, I couldn’t get on with the lessons. I could not persist with programming, only with the question I had. In that sense I was not persisting with the lessons. Persistence can even be a bad thing, if you are not able to solve the current problem in its context. A famous example is depicted in the film Shine, a biographical drama film based on the life of pianist David Helfgott, who suffered a mental breakdown while studying and spent years in institutions. After that he slowly recovered enough to be able to gain insight into why his behaviour could have led too his breakdown. At least this is how I understand the story. I know of several examples, like these, where people either get into a burn-out situation or need lots of time to recover from some problematic work and learning situation. The situation is too complex and if you believe you should persist you might break down. Having said this I think your proposition should be slightly altered. One should persistently try and grasp the last problem one knows one has with understanding coding. If you stick with that problem, you persist, and thus bring your mind to it again and again – chipping away at the perceived brick wall. It may take time, but you will gain insight. If you step over it, you will get stuck somewhere in the future, which happened too me. If you only stick with current problems, there will not be a way to continually learn. I agree, in part. Some problems should be left alone, until later when you have gained enough basics. So, in this sense your article points out the solution to the problem I am putting forward. However, does this leave ample room for me solving my problem? I don’t think so. I could not trust my thinking and solutions anymore, with the lesson I was trying to fathom. Which means, that however well constructed or basically developed a course or person, we are prone to somewhere hit a brick wall, for some reason. I agree one should stick with it, but not at all costs. Be persistent and stay with the problem you know, to try and solve it. I hope that this reflection will help you and others to keep learning. Always a joy to converse with you, Tim. Hi Francis, thanks for the kind words, I appreciate it, and also for your thought provoking comment. I still believe what I have said is true. Persistent means that when you get stuck you continue on, looking for a solution. If you do get stuck (and it happens to everyone at some point), you will solve it one way or the other if you stick to it – if you give up, there is 100% certainty you won’t succeed – because you gave up. Learning to programming is a journey that people take in different ways – you mention that you stepped over a problem and got stuck at a future point. Being persistent here means that you identify that you have a problem and overcome it. It sounds like you identified that and got through that – you were persistent! Your didn’t allow a problem to overcome you. Being persistent may mean you have to go back and review earlier videos or do something different, or even start again with the training. Thats ok, there is no one way that people learn how to program. In general there are no shortcuts to learning a skill – if you don’t understand something then you need to persevere and get answers to that if you want to become a programmer. Thats what the Q&A section of the course is for. To get answers to anything you are unsure of – Or use Google to help understand, etc. This is being persistent – you are not giving up and are seeking an answer so you do understand and are able to continue on with your training and journey to become a programmer. I hope that clarifies Francis, and thanks again. Thanks Tim: As a beginnner programmer, I am definitely feeling frustrtated. When I got to the Methods Challenge, I could not figure it out. I’ll take your advice and just keep working at it. I suggest you do keep at it, give it time and it will make sense! It is an immense pleasure being one of your student and to read a highly motivational article like this. Every beginner should read this. Greetings from India. Thanks Tim. Thanks for the support, it’s appreciated! concrete comparison. great article tim. thank you. I currently am taking your Android Java Masterclass. At the beginning it was all nice and easy for me especially the xml GUI. But getting to learn or understand the Android Java methods and program makes it a little not-so easy. Keep at it Emmanuel, you will get there. The more time you spend on it, the more it will make sense! Thank you so much sir. you opened my eyes. Actually i have stopped the course in middle due to my admission process now i got selected in NIT. Surely again i will start the course and i will be a developer. After completing Android course i m thinking to start python course. Congratulations on getting selected for NIT ! And I hope you will keep your development skills going. android is fine, and I think you will love Python as well! that remembers me the inspirational speech of a man asking everyone.. When you were a baby and was learning to walk, how many times did you fall, how many times did you hurt yourself in the process ? did you give up ? i’m prety sure that for all of us, in age to read this.. the answer is no. So when have we lost this tenacity, this skill to endure the echec ? Hold on thight guys the journey of you life if full of these faillures and you have to pass them, one by one, to become better. That’s a great quote from a speech. I like it, and it is true! Thanks for sharing. THANK YOU ! Timely reminder and encouragement. thanks for the article, coming from someone who have failed java structured programming one twice and taking it for the third time. I will save this article to read whenever I feel stuck in programming. Keep at it Paul – you have got this. I know you can do it! Nice ! Can you suggest what should I learn Python or Java ? I heard Python is the future? Can you guide me on this. Take a read of this post – it should help. Thank you for your great article. This is completely right that persistence is the key to success. I believe persistence is a first and main skill for every new thing that we want to learn. Thank you for your great teaching. You are welcome! Persistence really is the key! You’re a great source of knowledge for me. I’m deeply indebted to you. Long live Tim. Lots of love from India. Wow…Tim…your article has been a boost and great motivator…Thank you so much for the post….I am from India working in senior position in Automation (Selenium + Java) and manual testing..Lots of good wishes and love. I’m happy it proved to be motivating for you! You are welcome. I hope after the end of my java course i will also be able code of my own. Keep at it, there is no reason why you won’t be able to do this. Tim Sir. This is Shreejeet for India. Recently started your python course I purchased way back earlier! This article has motivated me a lot. Thanks a lot sir!!! Thanks for dropping by Shreejeet. And I am glad this has motivated you! Glad to hear it Christy! Mr. Buchalka, you are a good man. Thank you for putting out this bit of encouragement. LOL – I feel your pain with those Orcs ha ha. I am glad it helped you (the article I mean, not any tips to get good at the game). Thank you Tim for such a nice motivation that I really needed at this moment. 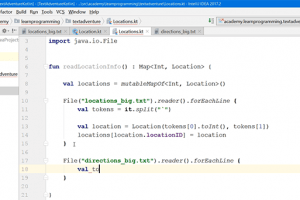 I have known JAVA for long time but now I have not been in touch with it but this post will definitely help me a lot. There was a moment in my life I was about to quit coding for ever but as it is said there is not time to start new things. Will master JAVA and coding one day. You are welcome. I am glad it will help you – I feel confident you can succeed with Java if you stick with it! I was on the verge of ragequitting my project as I was unable to solve the logic thinking about keywords and loops but thanks to your article. I realized that I should be persistent. Thank you for motivating me. That’s great Lakshmi, keep at it and it will become easier and more understandable over time. Thank you Tim for such a nice motivation that I really needed at this moment. Your motivation makes me put on standby the project I start working a few weeks ago and start to learn java and to become a java junior programmer Thank you for motivating me. You are welcome! I am glad it proved to be motivating. Nowhere else In my experience have i seen such great sage advice from someone in the know such as you! I come from university in a business degree context and college in an information tech context, has helped me slowly piece together the basic blocks of knowledge to just blindly navigate my way through software development. your teachings and advice have plopped me into the pilots seat with full confidence. Coaching many of us in this way, it’s like you are there sitting next to us and guiding us through fully and interactively as much as possible – the beauty of it is we can hit that replay button as many times as we need to drill those key points in and really get them under our belts. Knowledge like this is gold, and you are the miner, so a huge thank you now and always for all that you do. You are a top teacher! Thanks so much for the kind words, I really appreciate it and I am glad to be able to help! Thank you so much Tim for the motivation 🙂 I am at lecture 46 of your Complete Java Masterclass at the moment. So far, so good taking it one day at a time. Nice to have you here, I am glad you are finding the course useful! I am glad to hear that is motivating for you, that’s was part of the plan! Keep up the good work. Sorry, videos are not downloadable. I can relate to this in many different forms, I am a college student, a bodybuilder (or workout/exercise/understand training), and I try to code on the side. All these things take persistence. No one gets stronger/fit in a small amount of time, it takes dedication in two-fold. In the gym and also in the kitchen (can’t out exercise a bad diet). Somedays I find it hard to find motivation in any of the above areas. I appreciate your words of encouragement Tim as it gives me hope in coding, and hopefully I can finish your Java course. After OOP, its all new material for me and I hope to receive it well. You do a really good job at explaining the programming concepts. You are correct – I agree entirely with what you have said. I’m glad this gives you some motivation. Keep up the good work and thanks for the kind words! If only the world had more people like you. You certainly made a difference in my way of thinking. Thank you, that’s a nice thing to say! Thank you for this encoring post. I am an Engineer but I did not have to use any coding in my professional life. It was just a hobby for me until now. I always found myself starting to learn a new language and then quit it without getting much better. Now I am doing my graduate and I would like to work in data science area so that I can use programming in my professional life, too. I am trying to learn python and java at the same time and use them in my projects for graduate courses. I am really happy that I found your course in Udemy. I have tried many online courses until now but none of them was attractive enough to keep me much longer. I believe I will finish your Java course and then check for other courses that you are giving. Nice to hear from you, and I am glad that my courses are holding your interest. You can do this and I look forward to hearing of your success! Yes, I am a LOTR fan. I read the books years before the movies came out! Will you do a Kotlin course some day ? Yes, I will have a Kotlin crash course out hopefully by the end of January 2019!